July 1, 2015 By Allyson 2 Comments This post may contain affiliate links. Read my disclosure policy. 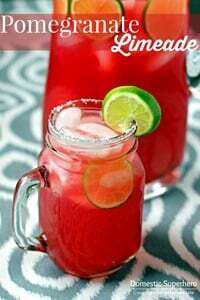 Strawberry Basil Margaritas contain only FOUR ingredients and they are amazingly delicious! I make these for every event and they are always a HUGE hit! So, if you have been reading my blog for the last…uhhh, 3 years, then you might recognize this recipe. 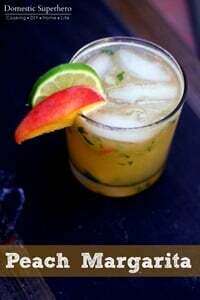 I posted a recipe for Easy Strawberry Basil Margaritas back in August 2012 (crazy), and it was one of my earliest posts, but the photos were seriously lacking. 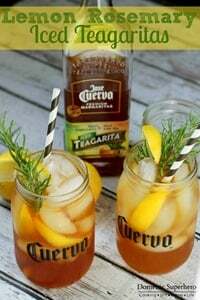 Now, I have been making these margaritas for the last THREE YEARS, and for some reason, I never updated the photos. Well, today is your lucky day. 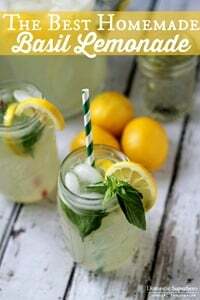 I felt like maybe I should just replace the photos in the old post, but then I felt like this recipe is SO good, that it deserved another post with fantastic photos. 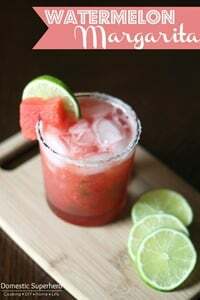 So, once again, here is the recipe for Strawberry Basil Margaritas. 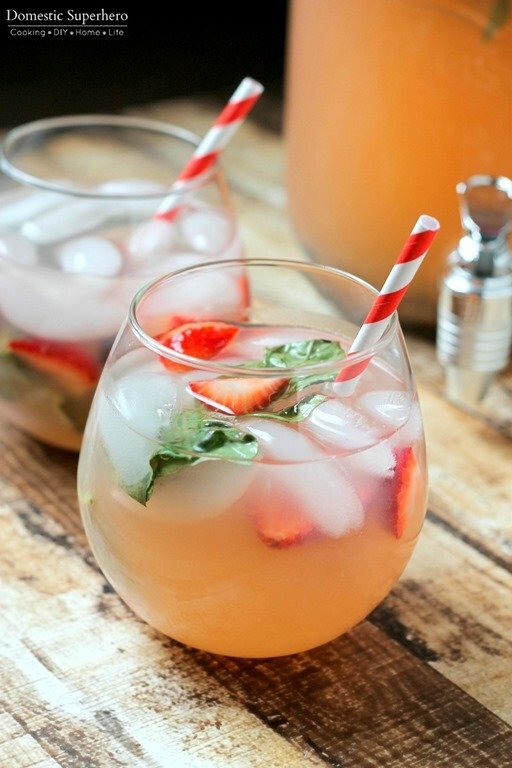 Seriously, these strawberry basil margaritas are the best; no lie. 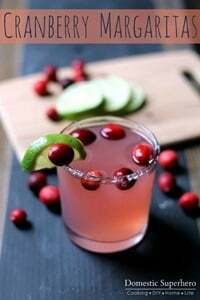 This has become my personal signature cocktail, because I make it for all events, bring it to everyone’s house, and just really can’t live without it. 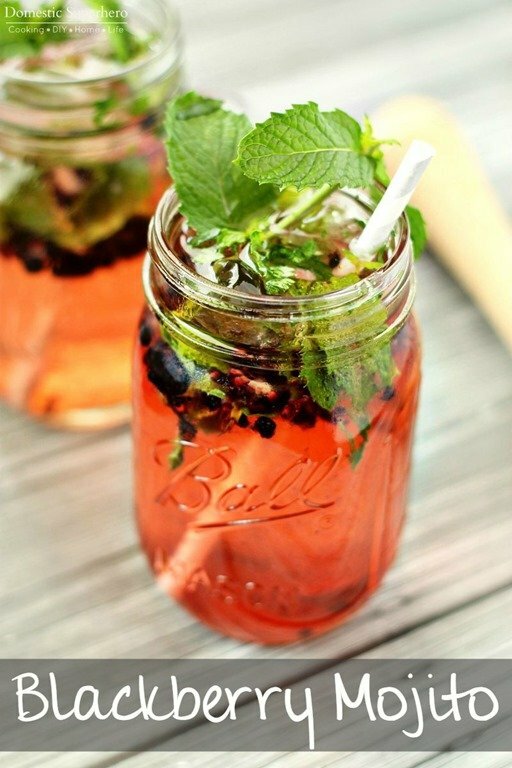 Not only is it incredibly delicious, but it is SO easy to make! There is little work required, so if you can chop strawberries, you are good to go! Letting this sit for a few hours before serving is key here. You will notice after you make it, the liquid will be yellow/clear-ish…but after a few hours, BAM – PINK! Love it!!! One little twist I am putting on the recipe below, is that it’s for a LARGE drink dispenser. 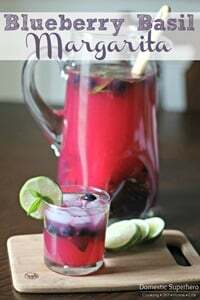 Now, you will definitely want to make this much if you are say, having a girls night or birthday party. 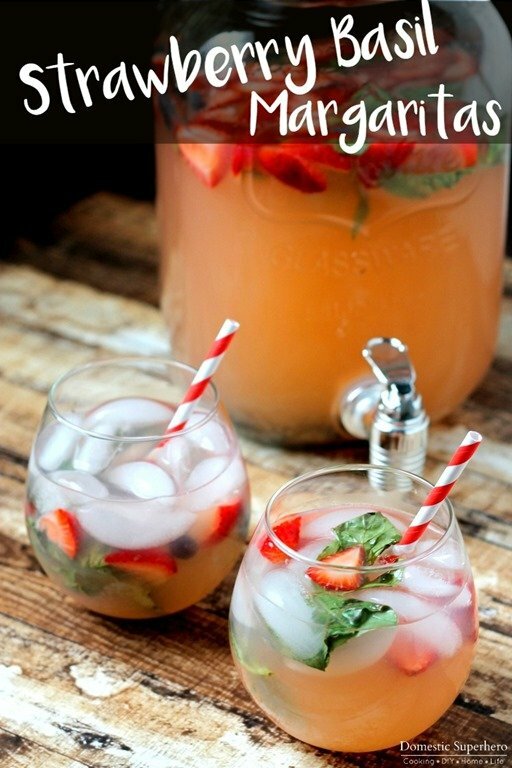 However, if you are hosting just a few friends over for a BBQ, then you might want to half the strawberry basil margaritas recipe and make it in a large pitcher. Your choice! 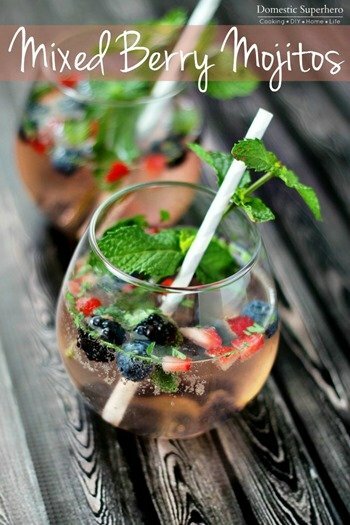 It really stays good for a long time too, so if you don’t drink it all, put it in the fridge and sip on it all week! Everyone wins! I am also not kidding when I tell you that EVERYONE will be asking you for this recipe – it’s that good. 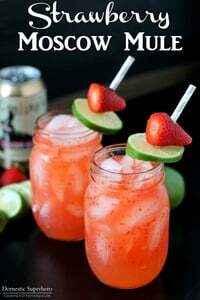 Strawberry Basil Margaritas - Only FOUR ingredients in these amazingly delicious Strawberry Margaritas! I make these for every event and they are always a HUGE hit! 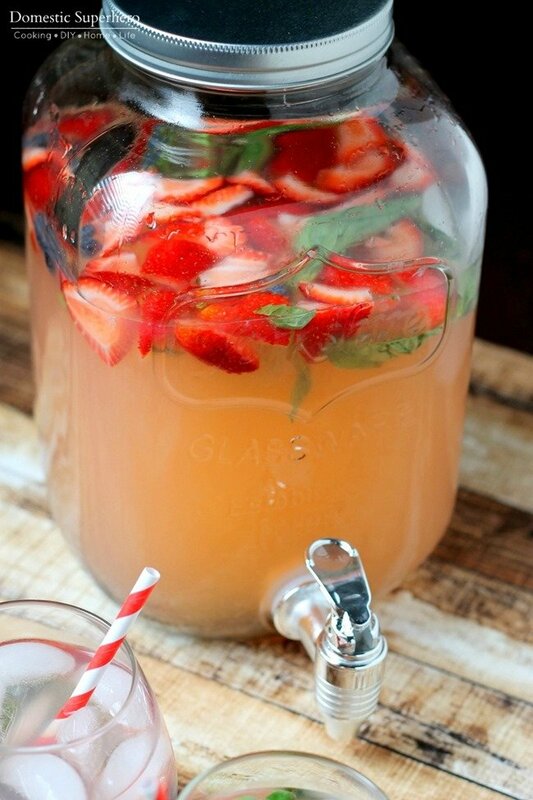 In a large drink dispenser (at least 1 gallon), add limeade concentrate, strawberries, water, and tequila. Stir well until limeade is completely dissolved (might take a minute if it was frozen still). Add basil leaves, crumpling them a bit before you put them into the dispenser (this helps release the flavor); stir to combine. Cover with plastic wrap or press n' seal, and refrigerate for at least 2 hours. To make a 64 ounce pitcher, halve the recipe. Store leftover margaritas in the fridge.